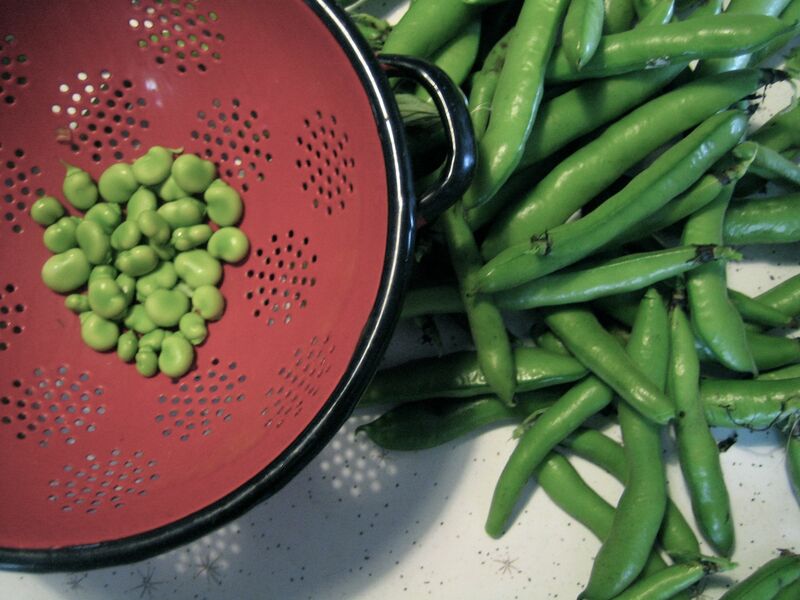 Summer = season of green. Broad beans until we can’t face another broad bean. There are some great broad beans recipes HERE. I divided up my monster stinging nettle plant and now I have baby nettles thriving away. (Anyone local want a nettle plant?) There is a delicious herbal tea recipe featuring nettles HERE. It suggests it is a good autumn tea, but I like it year round. Nettles are a wonder herb and are seriously good for you – very high in iron, it also builds healthy blood cells and clears chest congestion, among other things. It also tastes great in soup – very savoury and iron-rich tasting. 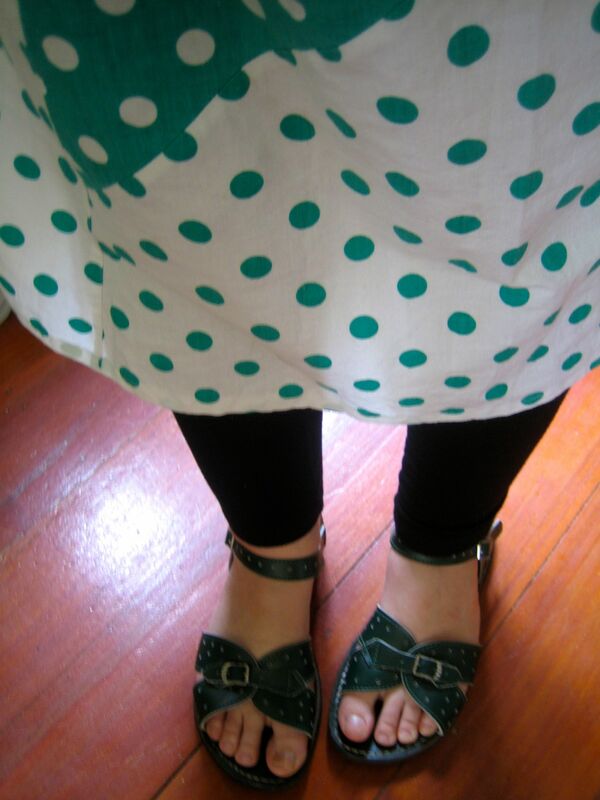 Green polka dot sundress with my green roman sandals. Welcome in summer, you’ve been a long time coming this year! You write well. I didn’t know how nettles could be used. Will give the plant a shot next season. Do drop by my space when you have the time. I’d love to hear from you. Hi Harry – I will! Thanks for visiting and commenting. 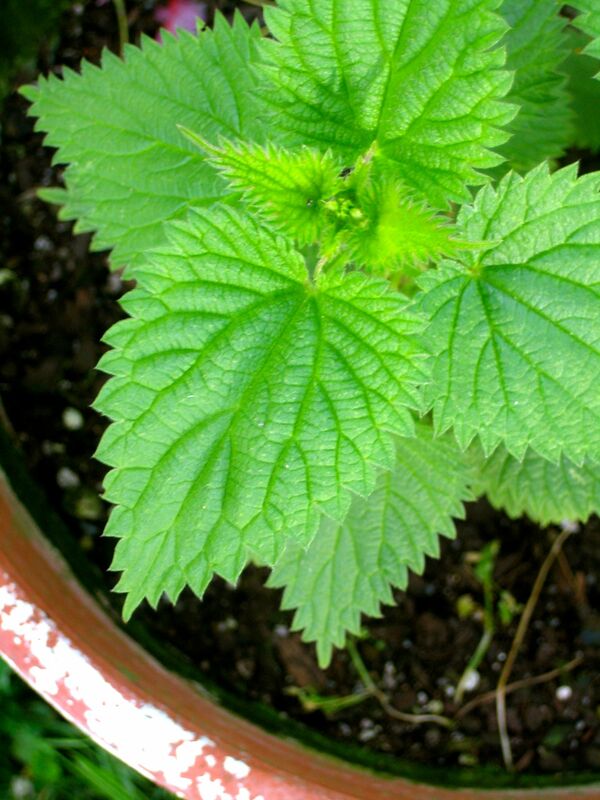 Good greens: I was delighted to find a single nettle in the garden this month — the first in years. Am nurturing it along with its companion peas. And I have a pinny like your skirt . . .